This is the home of goodworkyo.com, a site that began in the early 2000s and offered a unique perspective to life in Charleston, West Virginia. So what is goodworkyo.com, you ask? It’s a pre-Facebook website created when I worked in West Virginia. It was primarily used as a way to share photos of events my circle of friends attended — or even created on the fly. The site was hosted on my home computer (using Abyss website server software) — so it wasn’t the fastest website ever when it launched in 2003. And the site was a source of controversy at one point. But I’m not going to get into those details here. 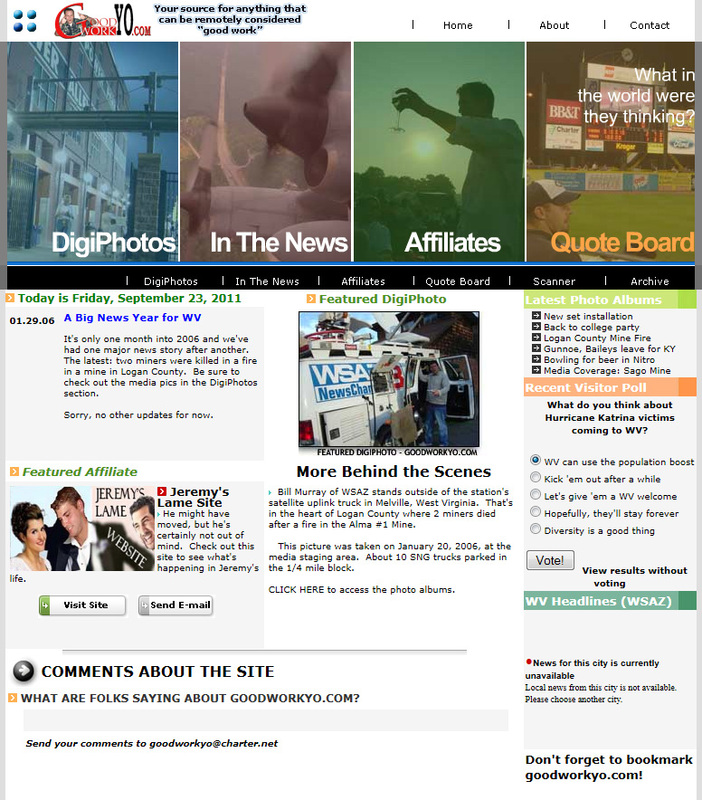 Here is a screenshot of the site in its last updated form in 2005. Enjoy! At some point, I may make the 79 archived photo albums I have saved accessible to the few who are featured in the photos. But for now, they remain in secure bunker of my computer’s encrypted hard drive.